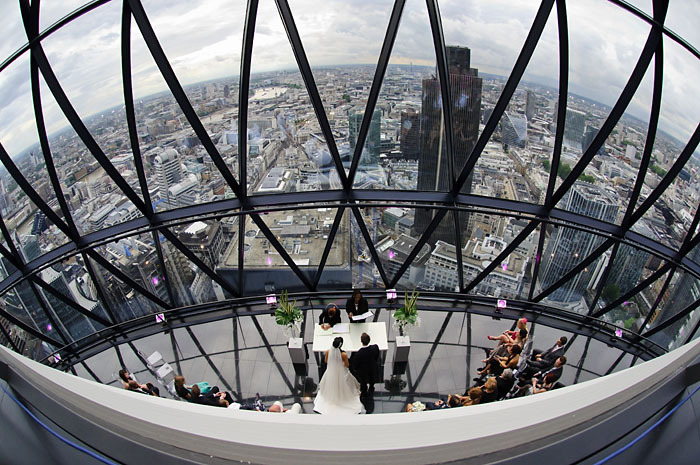 The Gherkin – one of the most recognisable London landmarks. This was the setting for Balca and Jonathan’s wedding. There is limited time at weddings for posed portrait shots, so as a wedding photographer it’s essential to maximise your time and shoot as much variety as possible in the time you have. Film noir inspired wedding photography featuring male groups looking cool.